Hiawatha Church is a community of people who believe in the resurrection and saving power of Jesus Christ. 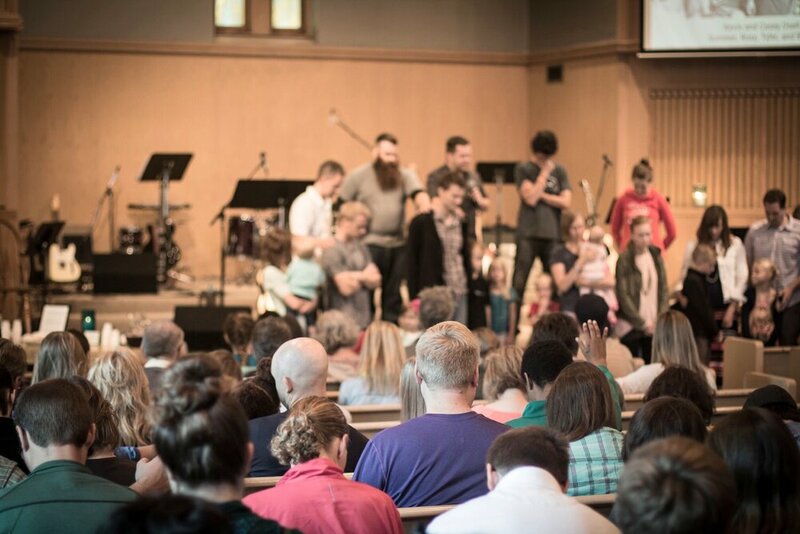 We are voluntarily affiliated with Converge North Central, the Acts 29 church planting network, as well as a growing network of churches in the Twin Cities metro area who partner together to bring news of Jesus's resurrection to more in our city. Our particular vision is to glorify God by spreading the gospel of Jesus Christ, through word and deed, among our church and out to our city and beyond. Wherever you are with God -- whatever your spiritual background -- please join us for a Sunday gathering, or let us know if you'd like to grab coffee with a pastor. We'd love to meet you! Our services are Sundays at 9 and 11am. We meet at 4155 41st Avenue South in South Minneapolis, on the corner of 41st Avenue and 42nd Street. We dreamed of a church with a distinct “South Minneapolis” or young-urban vibe: full of creativity, casualness, good coffee, and clarity on how the gospel informs our appreciation for the earth and our pursuit of peace. We dreamed of a church passionate for local mission, buying homes close to where they gather on Sundays, and living with evangelistic zeal indefinitely. We dreamed of a church that would reach bad and good people at the exact same time with a gospel that calls us away from not just bad deeds and irreligion, but also our good deeds that do not proceed from faith (religion). We dreamed of a church that would teach people that the Bible was not about them. We dreamed of a church that would pursue word-based and deed-based ministry in a healthy biblical balance. We dreamed of a church that would be marked by love, radical Christian friendship, and hospitality. We dreamed of a church that could laugh at themselves because of how much their self-worth was wrapped up in Jesus Christ's love alone. And we dreamed of a church that would multiply itself through robust church planting efforts and global missions. Later that summer we were officially sent out by our parent church Hope Community Church, and public gatherings began on September 3, 2006. Hiawatha Church was born! It's been quite a ride ever since. God has helped us to see many conversions and baptisms. He has led many to put down roots in Minneapolis to help further the local mission that we’re called to. He has helped many to understand the Bible through a gospel-centered lens rather than the “lens of self” that they brought into our church. He has made us a very diverse church that is unified around something (or rather, someone) much greater than ourselves and our - relatively speaking - petty agendas. And he has given us the opportunity to send some of our members to Costa Rica, Germany, France, and also other parts of the Twin Cities metro area to plant new churches, to build up the existing local church there, and to otherwise tell people about Jesus who have never heard about him! Please pray for us as we move forward with our same vision to glorify God by spreading the gospel of Jesus Christ through word and deed among our church and out to our city and beyond! The tomb is empty and the future is bright!